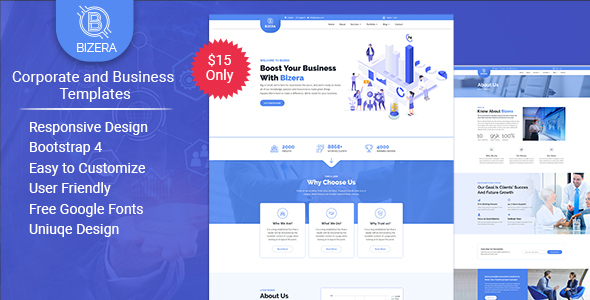 Bizera – is a best landing page for Business & Startup Company. So, Bizera– is clean, modern and responsive business & Landing template. It is unique custom design based on bootstrap 4. It is 100% responsive for all cross browsers and devices. Perfectly suits for any kind of business like as Agency, Creative, Corporate, Startup, Company, etc.All files are clearly organized we believe it will be easy to use. Anyone can customize this template as his wishes. Besides, we have included well documentation. So you can easily change anything without any trouble.